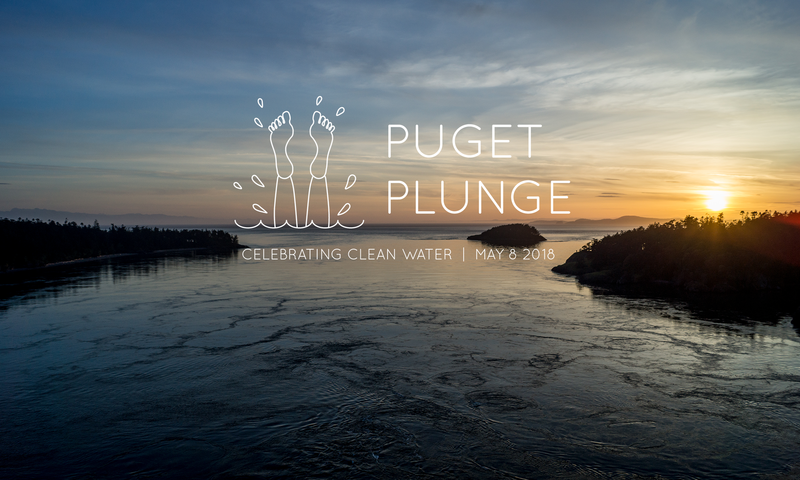 Puget Plunge – celebrating clean water! Thank you for joining us for the Puget Plunge! Thank you for joining us on a beautiful day as we celebrated the newest protection for Puget Sound: the No Discharge Zone. Puget Sound has been designated as a No Discharge Zone that prohibits the discharge of raw or partially treated sewage from all boats. It includes all inland marine waters of Puget Sound, Lake Washington, and all the water bodies that connect Lake Washington to Puget Sound. We were joined by advocates for Puget Sound including Puget Sound Partnership Executive Director Sheida Sahandy, Puget Sound Partnership Chair Jay Manning, Former EPA Region 10 Administrator Dennis McLerran, Washington Scuba Alliance, Pacific Shellfish Growers Association, open water swimmers, Alki Kayaks, and more! As of April 2018, Puget Sound has been designated a no-discharge zone for vessel sewage. WAC 173-228 bans vessel sewage discharges, treated or not, and provides the geographic scope of the No Discharge Zone, how to close marine sanitation devices, effective dates for certain commercial vessels, and enforcement authorities. A No Discharge Zone is a designated body of water where the discharge of toilet sewage (treated or not) is prohibited. The Puget Sound No Discharge Zone is for black water, and does not change any requirements on graywater. The No Discharge Zone includes all inland marine waters of Puget Sound, Lake Washington, and all the water bodies that connect Lake Washington to Puget Sound. It includes the marine waters east of a line between the New Dungeness and Discovery Island lighthouses, east of Port Angeles and Victoria; the San Juan Islands and Hood Canal. The NDZ includes a five-year phase-in schedule for certain commercial vessels to convert to holding tanks. Puget Sound is a unique and sensitive environment that is prone to poor water quality conditions. This designation prevents pollution from impacting shellfish beds, beaches, health and overall water quality. Within No Discharge Zone boundaries, boaters are required to hold sewage on board their vessels for disposal at pump-out facilities or outside the zone’s boundaries. Over 100 pumpout stations serve the Puget Sound region, and provide low- or no-cost convenient service. Free adapters are offered for recreational vessels to connect with pumpouts around the region. Learn more at Pumpout Washington. Implementation of the No Discharge Zone includes a five-year phase-in schedule for certain commercial vessels to convert to holding tanks. When operating in a No Discharge Zone, vessels using the Type I or Type II MSD must be secured in some way to prevent discharge. Pumpout stations serve all of Puget Sound. Over 100 pumpout facilities are available all over Puget Sound and already serve marine vessel sewage needs. Learn more at Pumpout Washington. Washington’s Clean Marinas are doing their part to keep sewage and other pollutants out of Puget Sound. For a full list of certified marinas, as well as other clean boating resources visit Clean Marina Washington. The Puget Plunge is organized by Futurewise, Friends of the Earth, Puget Soundkeeper, Sierra Club, and Washington Environmental Council.